Y our roof may protect you from wind, rain, and heat, but how well do you know it? Understanding the various components of your roof is essential to leak prevention. When all of the parts of your roof are working well together, your roof acts as a seal from the elements. If even one section of your roof is damaged, cracked, or missing, you could end up with serious water or structural damage. Performing regular inspections is crucial. 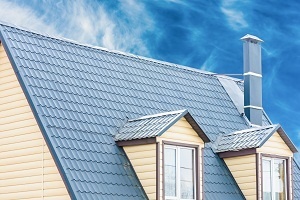 Here is a list of components that your roofing contractors in Alpharetta say you should know. Beneath your shingles, you’ll find a layer of black paper. This is called the underlayment. It’s placed over the plywood and creates a waterproof layer between the shingle and the wood. Typically, the underlayment is multifunctional, protecting the wood beneath from vapor, mold, mildew, and moisture. If at any point you have to re-shingle your roof, replace your underlayment as well. 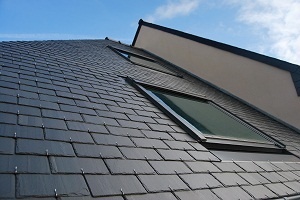 Most roofs have flashings installed. These metal pieces are placed in the hips and valleys of the roofline to divert water. Usually, flashing is made from galvanized alloy, copper, or stainless steel. These components prevent pooling and ensure that your roof remains leak-free. M ost people are familiar with the outermost layer of their roof. Shingles or tile sit on top of the underlayment and add an additional layer of protection for the roof. Depending on the style of your home and the climate, you may have tile instead of shingles. Tile, while more fragile, is a great way to deflect the heat and keep your energy costs low. Shingles are more beneficial for climates facing snow, rain, and moisture challenges. When performing regular roofing inspections, pay close attention to your shingles. If you see any that are lifting, cracking, or warping, replace them immediately. A damaged tile or shingle leaves your underlayment exposed. This increases your risk of disaster occurring. The trim of the roof can be found anywhere that there is a seam. Hips and ridges are coated in a trim to prevent any moisture from slipping between the cracks. Because these ridges tend to wear more than other points of the roof, it’s important to keep a close eye on your trim. Ensure that it remains in good condition and doesn’t lift away from your roofline. Familiarizing yourself with the components of your roof is an important step in performing your regular roof inspections. If you notice any issues, be sure to call the professionals immediately. Neglected issues could lead to early roof replacement in Alpharetta.